At Tessera of Brandon, we’re committed to providing healthcare and supportive services that honor your legacy, embrace your wellness and respect your personal goals. Simply put, we’ve created an assisted living and memory care community in Brandon, FL, where you’ll continue to live your story, your way. It starts with our holistic approach to wellness and continues through our gracious amenities and secure and comfortable suites. And with the support of our thoughtful and highly-trained senior living professionals, life here is fulfilling and inspiring. Floor plans designed to fit your life. Spacious. Modern. Secure. 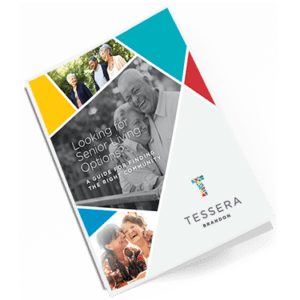 Senior living at Tessera of Brandon is designed with your every move in mind. Choose from studio, one- and two-bedroom apartments and furnish them to match your distinctive style. It’s easier to make a decision about Tessera of Brandon when you see how beautifully we’ve put it all together to create this vibrant and welcoming community. We hope you’ve had a positive experience with the level of service offered by Tessera of Brandon. Please take a moment to leave a review by completing the form below. Your comments are important to us!